After 30 years’ experience in viticulture, across corporate, government and private enterprise roles, Dr Richard Hamilton began his viticulture consultancy, Hamilton Viticulture, in 2010. Although based in South Australia, the business has provided advice across most grapegrowing regions in Australia. Before commencing Hamilton Viticulture, Richard was National Viticulturist for Southcorp Wines and Foster’s Group Limited for more than 12 years, focusing on the strategic application of technical viticulture to optimise grape and wine production to specification. Specialist areas of interest included vine health, plant propagation and the application of spatial technologies. 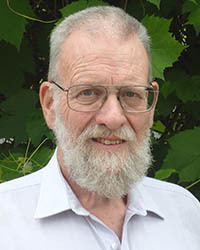 At this time Richard chaired the Phylloxera Technical Reference Group, developing the National Phylloxera Management Protocols for the National Vine Health Steering Committee (NVHSC) and was a member of all the NVHSC technical reference groups (Grapevine Yellows, Grapevine Leaf Rust and Variety Collection and Propagation). Prior to working in corporate grapegrowing, Richard worked with the South Australian Department of Agriculture for 12 years in both research and extension. Richard has been an active member of the Australian Society of Viticulture and Oenology, including three years as President (1998-2001), 10 years as Chairperson of the Australian Journal of Grape and Wine Research Committee of Management (1998-2008) and contributing to the AWITC programs for 2007, 2010 and 2013. Richard will be addressing Sins of the past, opportunities for the future – future-proofing vineyards on Tuesday in Session 6.